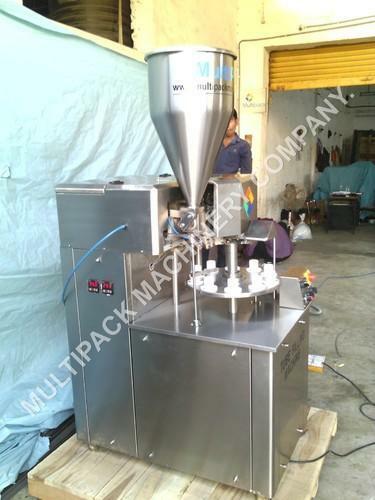 Our Machine suitable for Cream / lotions, adhesives, balms, gums and food, piston, pharmaceutical or cosmetic products in Cream / lotion etc. 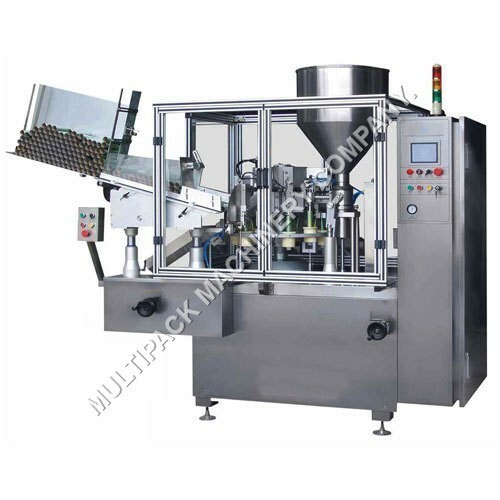 The machine is very simple to operate, it consists mainly, one rotating disc with interchangeable tube holding sockets for different size of tubes. 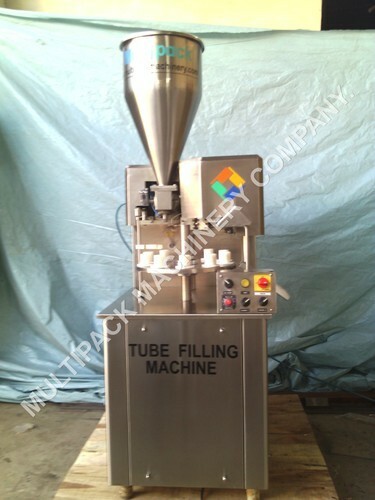 Only empty tube should feed manually, after that all process like filling, closing, coding & ejection process is automatic. No Tube - No fill System to avoid spillage. No Tailing (No Dripping) achieved by special pneumatic string cutter. With few modifications it can be used to fill Tins, Jars, etc. 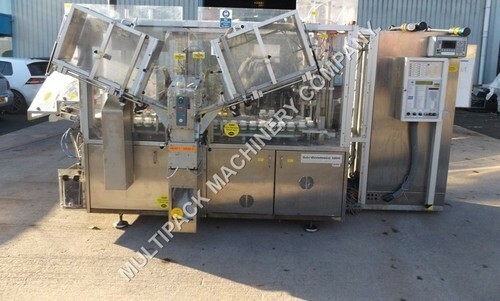 Multipack makes fully automatic Double Head tube is versatile Tube Filling, Sealing & Coding Machine complete with orientation device for the positioning of the tube.Automatic Tube filling machine for Lami and Aluminium with speed ranging from 40 to 80 tubes per minute depending on the product and filling gram mage.The main drive of the machine A/c Motor with synchronized variable A/c Frequency Drive. The Tubes are loaded on the subsequent indexing part of rotating platform and are filled in series of operations. Specially designed Tube holders provided to hold Tube with neck diameter. The Tubes are placed in an Inverted position in these cup shaped holders. The Nozzle also filling when Tubes are stopped. 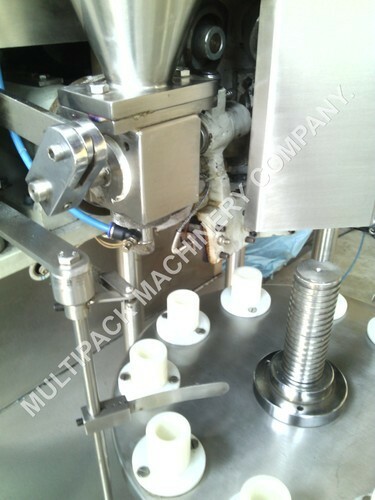 After filling the sealing head and batch coding device are performing perfect operation of crimping and coding of mfg. date & batch no. etc. Electrical Heater of Hopper 1 Kw. Change parts required (A) Tube Dia: Tube holding Pocket. No Tube No Filling & No Crimping System. Nylon & bearing type Tube Holder. Beam with folding station for metal tube - closure type 1. Heat sealing unit for Lami Tubes P/1 Comprising Straight Rifles, Oblique Rifles & Plain. Temperature regulator for Heating Element. Coding device for coding one side with 10 digit letters. Blow off for connection to Compressed Air. Packaging Details: as per client's requirement. Ideally suited to fill viscous products like Ghee & lotions. 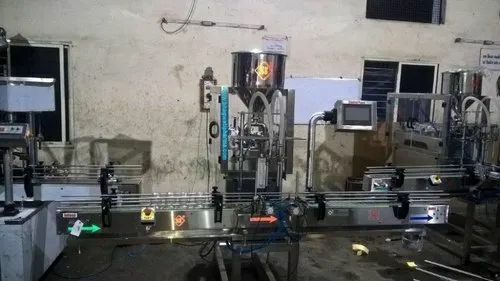 Machine Internationally proven high quality pneumatically + servo PLC operated piston filler with the latest technology – fixed product cylinder (syringe) attached to pneumatic cylinder in one line, giving better life to filling syringe seals and hence no leakages which are observed in mechanically driven machines with oscillating cylinders. Heads or nozzles, with product cylinders (syringe), valve assemblies, stroke assemblies. 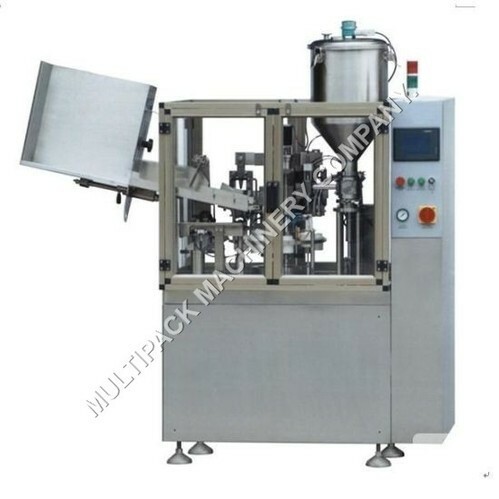 Looking for “Tube Filling Sealing Machine”?